NUAIR deploys ANRA Technologies UTM system at UAS test site » UAV DACH e.V. 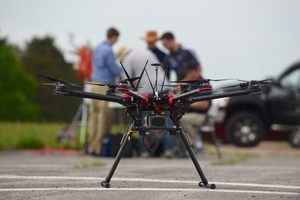 The Northeast UAS Airspace Integration Research Alliance (NUAIR) and Griffiss International Airport in Rome, New York, have successfully implemented the UAS traffic management (UTM) platform from ANRA Technologies into the New York State UAS test site. This advances the test site’s capabilities by enhancing multiple, simultaneous beyond visual line of sight (BVLOS) operations that involve both manned and unmanned vehicles sharing the same airspace. ANRA Technologies also enhances tracking and supports network based Remote ID and detect-and-avoid capabilities. 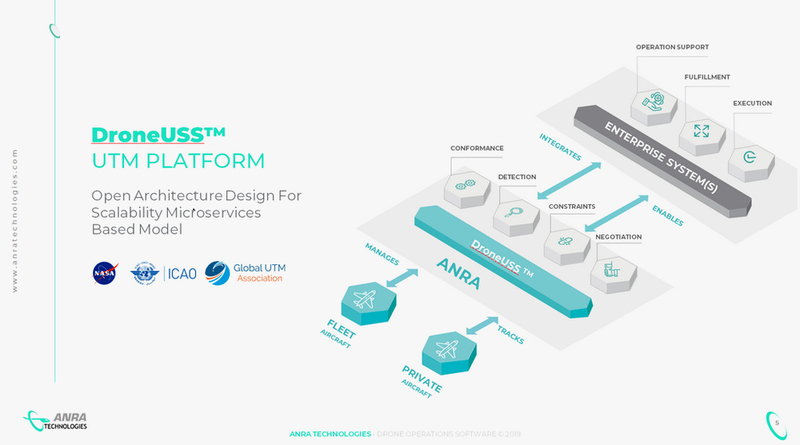 Features of the ANRA UTM platform include flight planning and monitoring, command and control, separation assurance, airspace management, tracking of drones, reporting, and open interfaces to enable capabilities such as remote ID. The platform is designed to integrate both participating and non-participating UAS into a single operational unmanned traffic management system. During a NUAIR-hosted, two-day conference in January—attended by more than 40 UAS industry experts from 20 global companies—specific “real-world” scenarios were outlined and testing participating and non-participating UAS in the same airspace was one of those scenarios. This scenario showcases the commercial viabilities of UAS, while highlighting the technical challenges of operating multiple UAS in shared airspace. The implementation of the ANRA UTM platform makes this testing capability a reality for the New York State UAS test site. Beitrag im Original auf http://uasmagazine.com/articles/2002/nuair-deploys-anra-technologies-utm-system-at-uas-test-site, mit freundlicher Genehmigung von The UAS Magazine automatisch importiert. Original in englischer Sprache. Der Beitrag gibt nicht unbedingt die Meinung von UAV DACH e.V. wieder.